With a hostile legislature trying to erase queer youth, successful alumni spring into action. 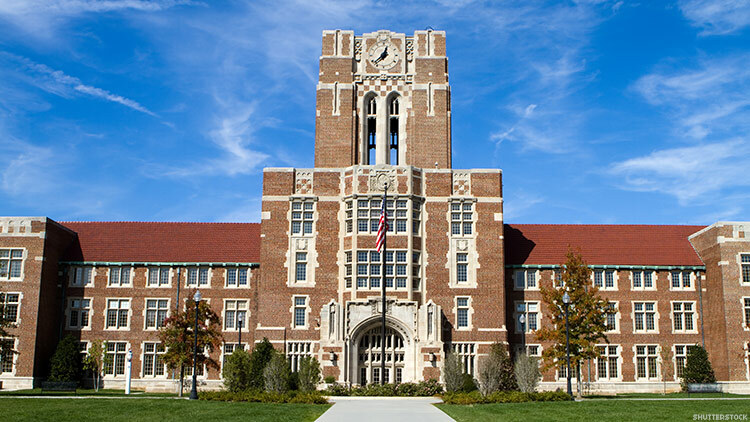 After the Tennessee legislature voted to defund the University of Tennessee's Office of Diversity and Inclusion — effectively starving the LGBT Pride Center at the Knoxville campus — alumni sprung into action. UT alumnus Chad Goldman and his husband Brian Pendleton recently organized a fundraiser for the Pride Center, raising $300,000 for the center, according to the Washington Blade. The fundraiser was held at the Nashville home of another gay UT alumnus, Gary Bynum, and attracted guests like University of Tennessee Chancellor Beverly Davenport and Congressman Jim Cooper. The Nashville gathering served as a kickoff event for a larger plan to create a permanent endowment for the center, with parties in cities like Atlanta and Los Angeles planned. Tennessee's Republican-dominated legislature defunded the Office of Diversity and Inclusion in 2016, which antigay governor Bill Haslam allowed to go into effect. Alumni like Goldman and Pendleton helped keep the Center afloat after that via donations. Even with the financial support, the Center has struggled from local resistance and homophobia. After the Office of Diversity and Inclusion was defunded, the LGBT Center's Pride flag was stolen and replaced with a sign reading “Fags Get AIDS,” according to NewNowNext.